When the first Devil May Cry game was released on PlayStation 2 it impacted the action genre heavily. Capcom had managed to create an action game that captured what only 2D action games had supplied to players at the time, including twitch based combat and crazy combo chains. 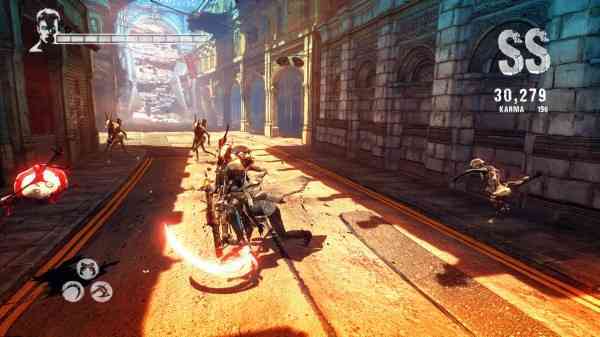 This newest Devil May Cry game hasn’t revolutionized the action genre, but it’s a damn good action game nonetheless. 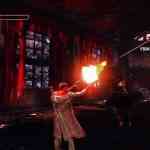 This latest entry, entitled DmC: Devil May Cry, is developed by Ninja Theory and published by Capcom. It is essentially a reboot so to speak. It takes place in an alternate reality and is separate from the first four installments of the series. The main characters of the game are still going by the same names of the previous games but just about everything else in this version is different. Devil May Cry starts out with Dante awakening with a hangover. Almost immediately after the game begins, Dante is tossed into an alternative form of reality called Limbo. 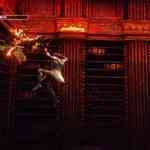 The city is visually transformed into a hellish looking location and Dante is quickly attacked by a demon. While running through Limbo, he runs into a girl named “Kat”, who helps him confront the demon and takes him to meet the leader of “The Order”. The Order is an organization that is fighting against the demon army that is trying to destroy the world. Vergil is the leader of The Order and he tries to convince Dante to help him fight against the army of demons that is constantly moving closer and closer to controlling everything around them. When going into this game I have to admit I was skeptical. With all of the changes made I was concerned that Devil May Cry would suffer from a poorly done face-lift, and I didn’t want to see such a cool series go downhill. 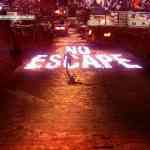 After spending many hours playing though I can safely say I am pleased with what Ninja Theory has created. The characters are much better than in previous installments of Devil May Cry. Previously, most Devil May Cry games had awkward dialogue, and apart from Dante, they had bizarre characters that weren’t all that interesting. This time around they act more human and life-like. The dialogue is stronger, and the one-liners from Dante are well written and aren’t thrown in excessively. All of these changes add up to present a new take on Devil May Cry, and it works. The game is fresh, great looking and really fun to play. 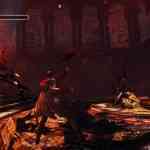 Even though the game looks and sounds great, Devil May Cry games have always been about the combat system. No matter how you look at it, this most recent installment does approach combat from a different angle. Some returning fans will be disappointed that Dante’s ‘Styles’ are absent, and I have to admit I was a bit disappointed by this fact, but the new combat system is quick, smooth, and most importantly, a lot of fun. The game does a good job at giving you new weapons and fighting styles frequently enough to prevent them from being boring, but it also takes it slow enough so that you can become comfortable with each weapon you receive. Fortunately, there is also a tactical approach to combat as there has been in past games. 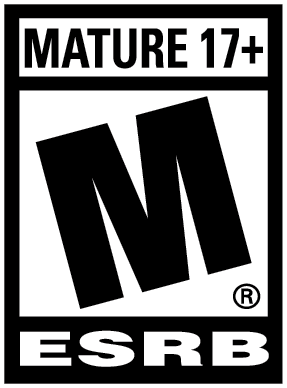 The strategy lies in weapon switching and reaction time, as opposed to choosing a specific style and learning it until you can play it with a blindfold on. I do appreciate that Devil May Cry features a quick rotation of weapons as its main mechanic, as opposed to crazy button combinations that leave calluses on your fingers. Angelic and demonic weapons accompany the default sword Rebellion and dual handguns Ebony and Ivory. This quick switching still allows you to chain moves and combos together, but it is far more accessible then most action games, and it does so without removing any of its depth. On top of this the game presents you with an excellent ranking system designed to make the most of the combat and what it has to offer. The game constantly adds more to the combat system and towards the end of the game you have a hefty amount of techniques available. Ninja Theory has obviously spent a lot of time making sure the game remains constantly interesting. In regards to Dante’s progression, you use red orbs in between stages to buy new items and use skill points to buy new techniques for Dante’s weapons. There is an option to try out a technique prior to purchasing it, which was nice. Techniques that have been bought can be returned to regain the skill point when the game buys them back. Many combat moves from the previous Devil May Cry games return, but there are quite a few new ones to learn as well. Rebellion the sword, which is the main weapon here, has moves borrowed from previous Devil May Cry games, but it also brings new combos to the table too. Dante gains two types of grapples from his main angelic and demonic tools. 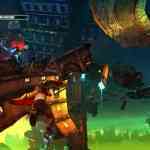 These are similar to Nero’s grapple from Devil May Cry 4; however, the grappling in this latest game has more depth. The Angelic grapple brings Dante closer to his target while the Demonic grapple brings the target closer to Dante. The grapples can be used during combat to create some cool combos, and they are also often used during platforming sequences. 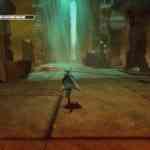 This lastest Devil May Cry’s platforming areas actually proved to be fun to play and they help to break up the monotony of constant combat. There also happens to be a lot of eye candy in the platforming, where huge environments are presented with great designs that use the Xbox’s hardware to the fullest. The game presents several difficulty options to players. When starting there is a “Devil May Cry” difficulty section that has sub difficulties of Human, Devil Hunter and Nephilim. 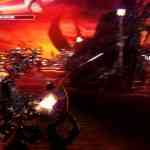 Following that, there is a Son of Sparda difficulty and a Dante Must Die difficulty, each with varying enemy setups. 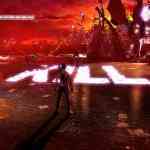 “Heaven and Hell” and “Hell and Hell” return from Devil May Cry 4, which should please fans. Altogether seven difficulties are available for the main game. The normal enemies in stages can offer a great challenge in the higher difficulties. Strangely enough though I found almost all of the boss characters to be quite easy, no matter what difficulty I had the game on. Once I had figured out the pattern to killing the boss it was pretty much clear sailing. I found that to be a bit disappointing, but it wasn’t a deal breaker for me. 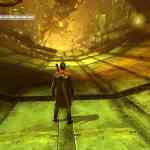 All of the stages in DMC take place in Limbo. The design for this setting looks amazing. The different environments are bright and surreal, backgrounds are constantly undergoing changes, and the colour palette used throughout the game looks great. 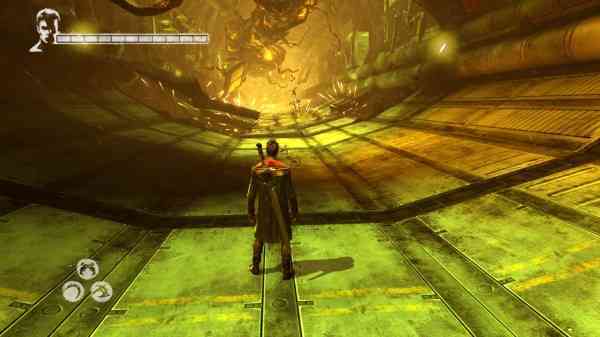 While in Limbo, floors might suddenly extend or a pathway may quickly seal off while Dante follows an alternative route. Words frequently appear in the background as Dante makes his way through a stage. These words usually are in place to represent the demons communicating to Dante. This design choice works well, and I absolutely loved the presentation of Devil May Cry. The audio is just as great. All the characters have solid voice actors reciting there respective dialogue. Dante’s dialogue, which is full of cussing, suits him and it never seems like too much. His one-liners are kept to a minimum, as mentioned earlier, but the ones that are present are good. The music is composed mostly of hard rock tunes from select bands, apart from a few techno tracks. I found the music to be a little bit less memorable in comparison to the previous installments in the series, but it was still good. The hard rock is as fitting as always when combating demons. Given that Capcom and Ninja Theory took a risk in changing so much, I think it worked out for the best. 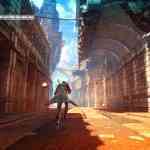 I found DmC: Devil May Cry to be incredibly satisfying. Sure, the game has a few weak spots that could be polished up for a sequel, but all in all I really like the new direction of the franchise including the overall look and the easier controls for gameplay. The story and writing is much stronger when compared to previous games in the series too. 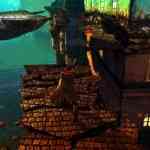 There is also a decent amount of replay value in the game with all its levels of difficulty and hidden items to find. I should note that additional DLC is on the way, which should provide even more content to an already satisfying game. Devil May Cry has everything a solid action title should have including a responsive and exciting combat system accompanied by great looking visuals and a heavy soundtrack. This game is a great experience so early in 2013 and easy for me to recommend for you to buy.